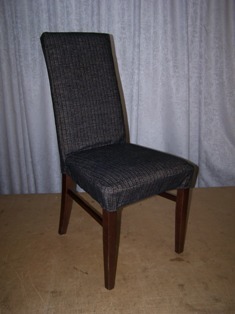 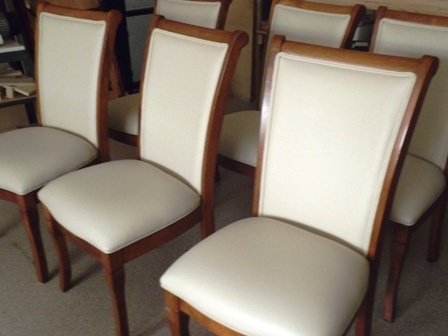 Re-upholstery and repair of lounges, dining chairs and recliners. 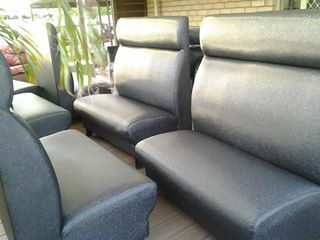 Custom made chairs, couches, bench seats, ottomans. 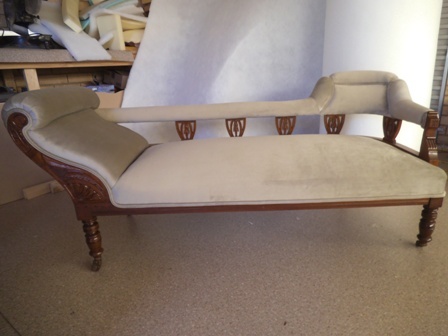 involves replacing of jute webbing, coil springs, hessian, flock, horse hair and coconut fibre. 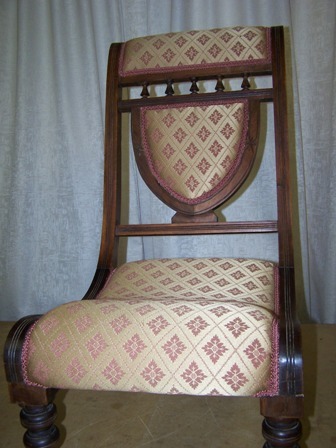 Hand stitching used to hold in place springs and padding. 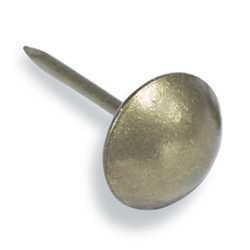 Decorative braids or nails are used in traditional upholstery very often. 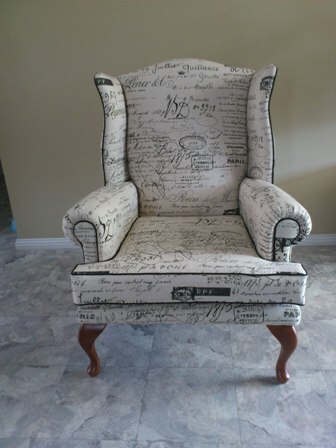 Furniture can be re-upholstered in cloth, vinyl, or leather. 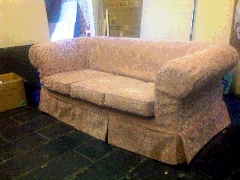 involves replacing of elastic webbing, “snake” springs, foam and dacron padding. 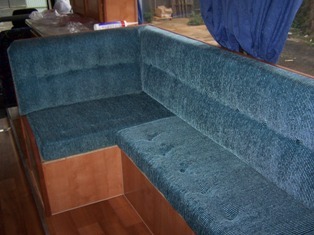 Most of upholstery parts are cut and sewn before installing on the frame. 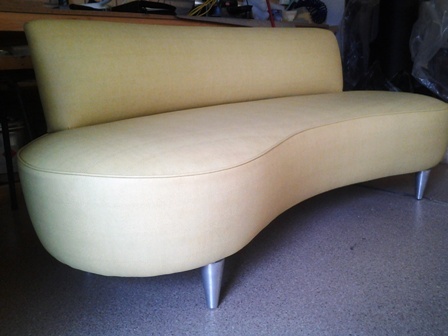 Furniture can be re-upholstered in cloth, vinyl, or leather. 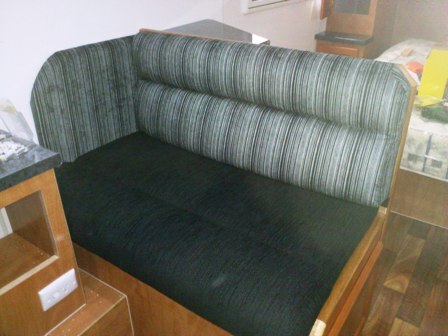 involves re-upholstery of seat and back cushions, bed heads,head boards, side panels, pelmets and curtains making. 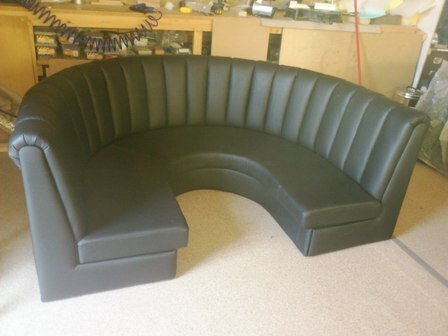 We supply seat and back foam cut to size and shape. 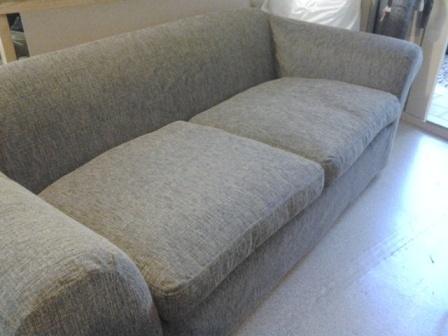 is a fitted cover that can be removed for cleaning or seasonal change. 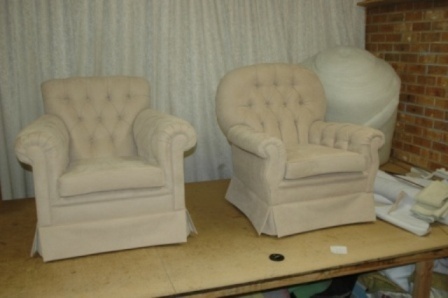 Slipcovers can be used on the top of the existing upholstery of couches, chairs or dining chairs. 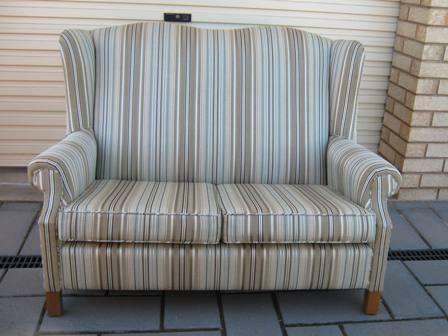 Slipcovers made in outdoor fabric or vinyl can be used for patio furniture. 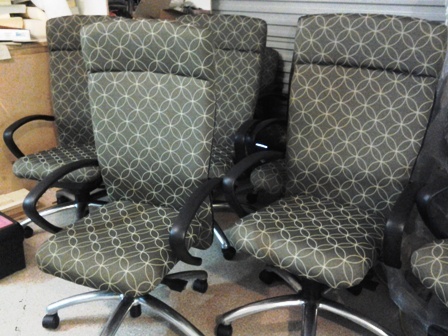 frame repair, re-webbing, springs repair, stitching repair, padding repair, foam replacing, recliner mechanism repair. 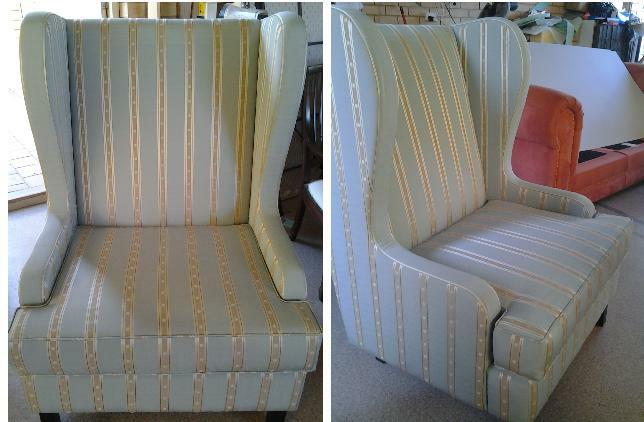 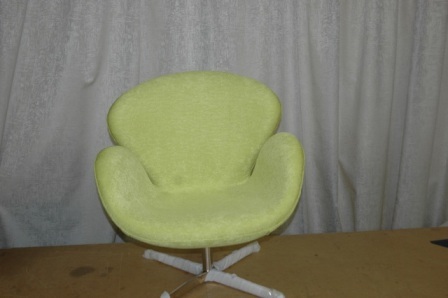 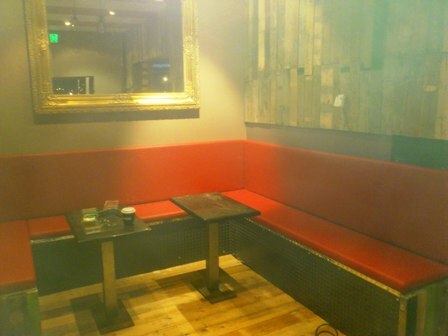 We also offer upholstery cleaning and fabric protection. 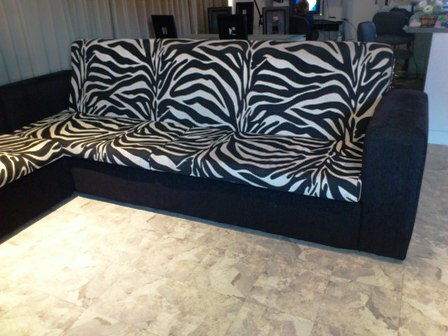 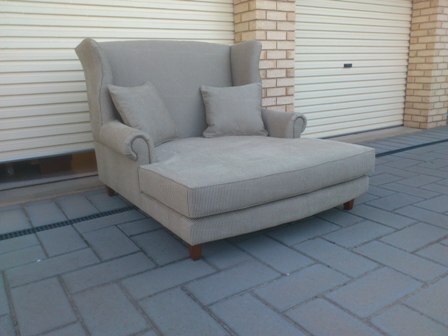 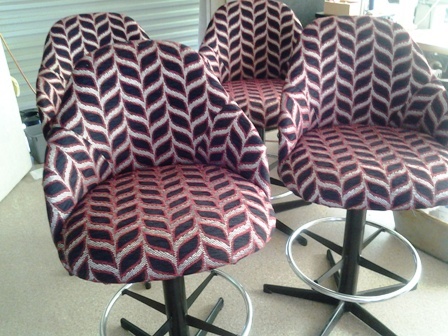 : we specialise in making cushions for benches, cane furniture, TV chairs, outdoor furniture, window cushions. 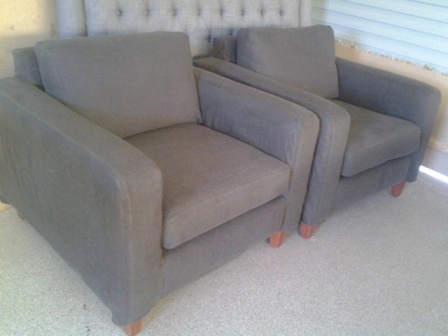 Well made furniture can last for decades and it is always worth to recover a comfortable lounge with a steady, solid frame. 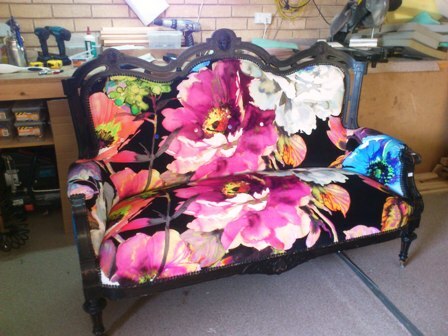 During the re-upholstery process, we will check the frame and repair any damaged parts. 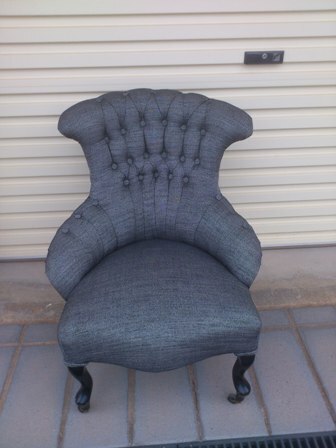 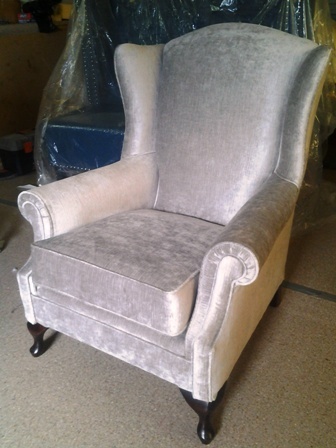 Re-upholstery gives an opportunity to change the look of your favourite couch, chair or dining chairs. 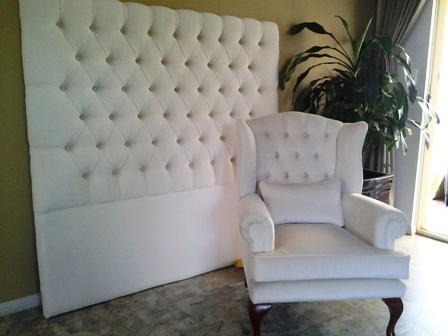 Some elements of furniture such as decorative braids, piping, buttons or studs can be added to a lounge, or removed. 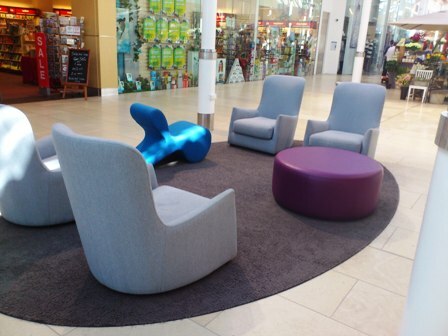 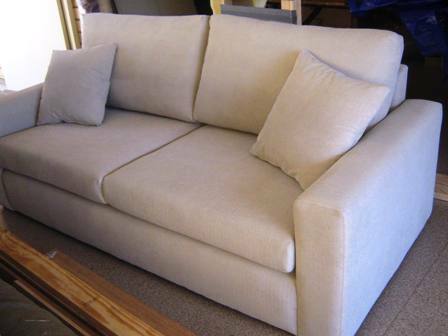 A large selection of upholstery fabrics and leather allows you to create a fresh new look to the furniture. 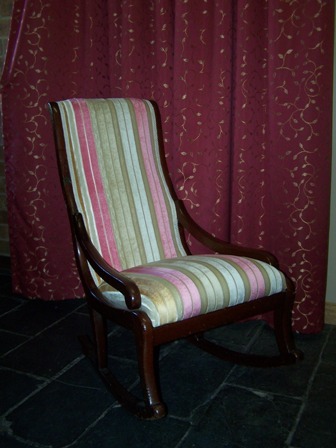 It is a good idea to take samples of fabric home, as the colour could look different in a home setting. 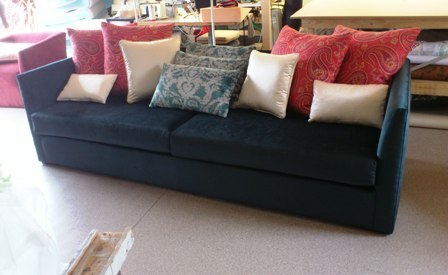 The amount of fabric you would need to purchase depends on the width of material, pattern and design of that specific fabric. 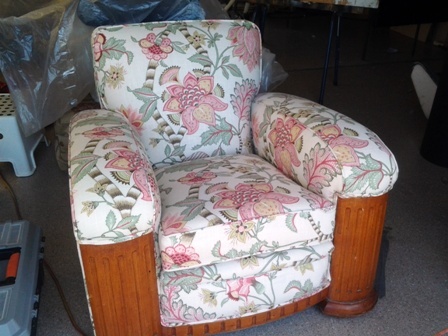 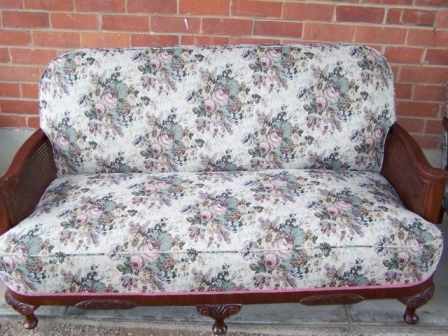 Doing a re-upholstery job using fabric with a large pattern repeat takes more material than using plain fabric. 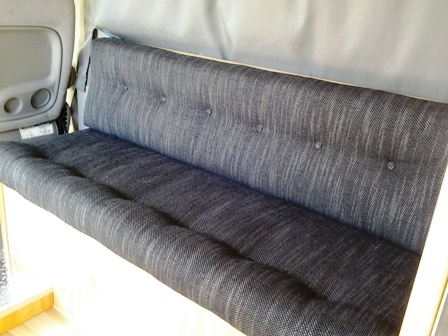 Railroaded fabric is more economical for furniture upholstery. 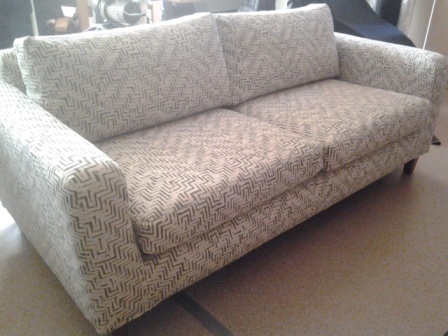 The comfort of a lounge can be immensely improved by changing the springs, webbing and padding. 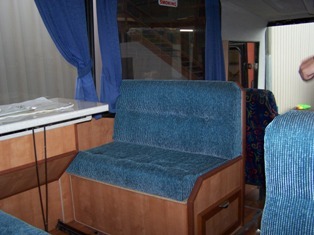 There are few different grades of seat and back foam. 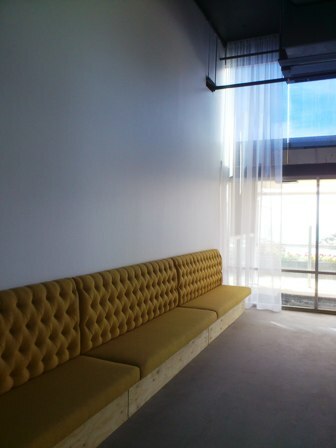 We recommend to try sample cushions before ordering. 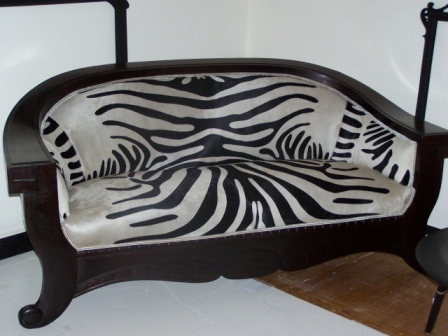 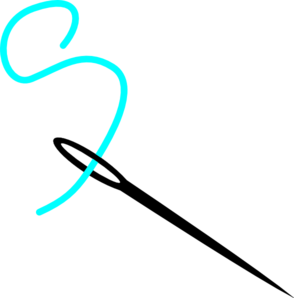 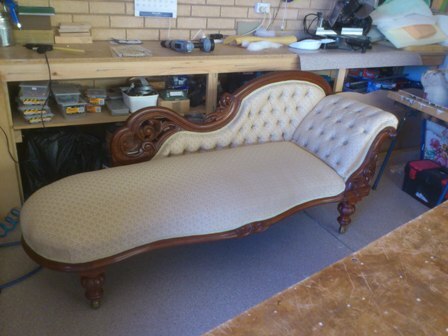 : furniture re-upholstery & repair; custom made bench seats, couches; curtains making. 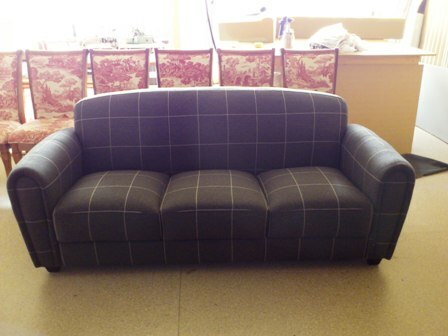 At Rags to Riches Upholstery & Curtains, we manufacture high quality made to order furniture. 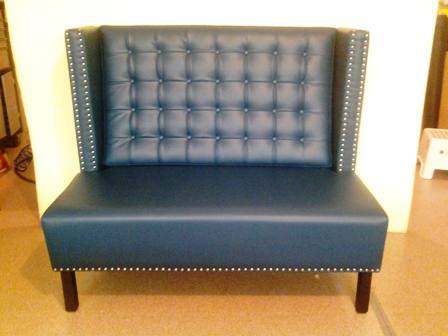 We specialize in making chairs, couches, bench seats, ottomans for domestic and commercial customers. 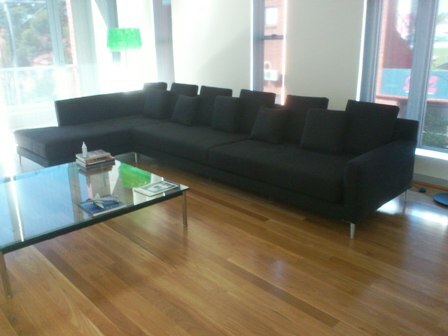 We work individually on each project to meet client’s requirements.